Walt Disney World is a huge city with several district articles containing sightseeing, restaurant, nightlife and accommodation listings  have a look at each of them. At the Walt Disney World Resort, you can explore human innovation and cooperation; enjoy rides both thrilling and enchanting; relax and recuperate on the beach or the golf course; and discover an entire resort where children and adults can have funtogether. 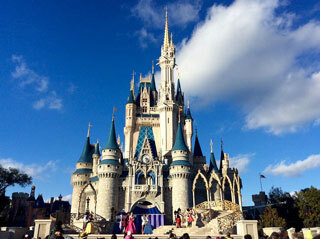 Even though families with small children are common in the park, Disney World is also a very common destination for newlyweds on their honeymoon and college students on Spring Break. This article uses material from the Wikipedia article "Walt Disney World", which is released under the Creative Commons Attribution-Share-Alike 3.0 License.